The sport of paintball is very competitive and one that requires a good strategy in order to be victorious. It is similar to a game of chess; you need to be intelligent and predict the opposition’s next move, but you also need to stay aware of the situation at hand and react to any sudden changes to your surrounding environment. It is in these unpredictable and uncertain times when a good strategy is needed most. But it is more than just having a good strategy and solid tactics that (on paper) should win you the game. You need a leader. Someone who your team will turn to in times of turmoil, who has the confidence to keep a level-head yet not be too ambitious and someone who can stick to a plan but think quick if things go pear-shaped. It is this leader who will be most important to the success of your paintball adventure. The next part of your strategy is about your team. 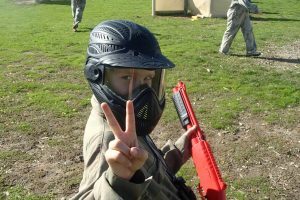 There are many things that you and your team can do before the start of a paintball game to greatly increase your chances of winning. Walk the field: On your way to the starting point, take a moment to survey the game zone and try to pin point areas of tactical importance, routes to take that provide plenty of cover and bunkers that you can retreat to if need be. As you’re walking through the game zone ask yourself which position will you take first and where do you think the enemy will likely go? If everyone in your team does some mental preparation and shares their opinions with the rest of the team then you will stand a much better chance of winning. Plan who will be doing what: Think of it in terms of rugby positions; Forwards, defenders, wingers etc. then democratically decide which position everyone should take based on their strengths. Communication with your team: If you’re going to be using any hand signals or specialist words in the game, discuss them before the whistle blows or it may lead to some confusion. 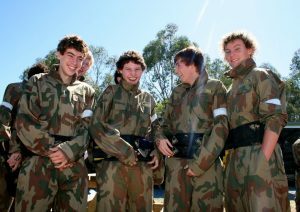 Safety checks: Possibly the most important precaution to take before the start of a paintball game. No quality paintball centre in the country allows players into the games without their goggles being properly fastened but it’s always a good idea to double check that your fastenings are secured, the lid on your hopper is shut properly, your battlepack is strapped on tightly and the safety switch on your marker is on right until the game starts. It’s always best to be over-prepared than not prepared at all. These are just a few of many tactics that will help your chances of being victorious on your next paintball adventure. Whatever the result, be sure to get out there and have fun!